At Drink Spirits we taste a ton of spirits – many of them good, some of them bad, and a select few that really really impress us. Z Tequila was one of those rare spirits that stood out so solidly in our tasting that it unanamously impressed everyone on our tasting panel. Z Tequila is the passion project of Pepe Zevada, a man who has been involved with the spirits industry for over 35 years including working with key brands like Jack Daniels, Kahlua, and Sauza Tequila. To make Z Tequila, Pepe draws from agave plants that are seven to nine years old (slightly older than some of the other tequila makers), ferments them, and then uses a unique short column distillation process. Instead of using ex-bourbon barrels, which are extremely common with tequila, Pepe uses Canadian white oak barrels to age Z Tequila. Z Blanco Tequila (40% / 80 Proof, $30) has a delightfully peppery nose with a mix of white and black pepper backed by slightly spicy bell and jalapeno pepper notes. There’s just a suggestion of briny pickle which brings everything together in a wonderfully complex and inviting nose. The entry has some real finesse with a soft mouthfeel that has an elegance to it. The flavors unfold in the midpalate with the pepper notes up front, and the vegetal green pepper and spicy jalapeno right behind, along with a slightly sweet, fresh agave note. The spice comes to a peak at the end of the midplate and then gently fades out for a long finish that ultimately finishes clean. It’s hard to capture just how delightful Z Blanco Tequila is. With its inviting nose, delivery of flavor, mouth feel, and finish, it’s one of the best blanco tequilas we’ve tried. Z Reposado Tequila (40% / 80 Proof, $34) – light gold in color, this reposado has clearly been aged with balance in mind. The nose has a nice spice with more of the briny pickle flavor than the blanco. Oak is clearly present in the nose, but it’s more old cigar box than barrel. Both the spicy pepper and vegetal green pepper are here along with a suggestion of cinnamon and caramel. The entry for the Z Reposado Tequila is much softer and sweeter than we expected with a soft caramel leading off the charge. The mouth feel is thicker but still maintains some elegance. Quickly after the entry, the level of spice begins to build. The caramel notes serve as a floor underneath white pepper, cinnamon, and oak spice. The balance between sweet and spice here is superb, and the finish, while less spicy and shorter than the blanco, is thoroughly enjoyable. The craftsmanship on this reposado is outstanding and it represents one of the best reposados on the market. Z Anejo Tequila (40% / 80 proof, $38) – dark gold in color, the Z anejo presents the oak spice much stronger in the nose, which flirts with being slightly vapory. The briny notes more prevalent in the blanco and reposado are a mere suggestion here, with oak spice and white pepper dominating the nose. The entry is much softer than the nose would suggest, with a nicely balanced mouth feel that is slightly thicker than the reposado. The opening caramel note is stronger but still in balance. The midpalate begins with a nice blend of pepper and oak with caramel and agave underneath, but then the oak goes off on a tear with a solid cinnamon spice that joins it. The finish is long, spicy, and delicious. The loss of some of the vegetal notes in the Anejo give it less complexity, and while it’s enjoyable, we really prefer the Z Reposado Tequila. The only negative thing we can say about Z Tequila is that we aren’t fond of the caps they use on their bottles. The cap looks like it’s a cork stopper but it’s really a twist off. The blanco bottle’s top didn’t reaffix as securely as we would have liked, the reposado has a pour stop that we aren’t fond of, and the anejo wood cover came off after the first opening. It’s an absurdly minor gripe for one of the best tequilas we’ve had in a while. 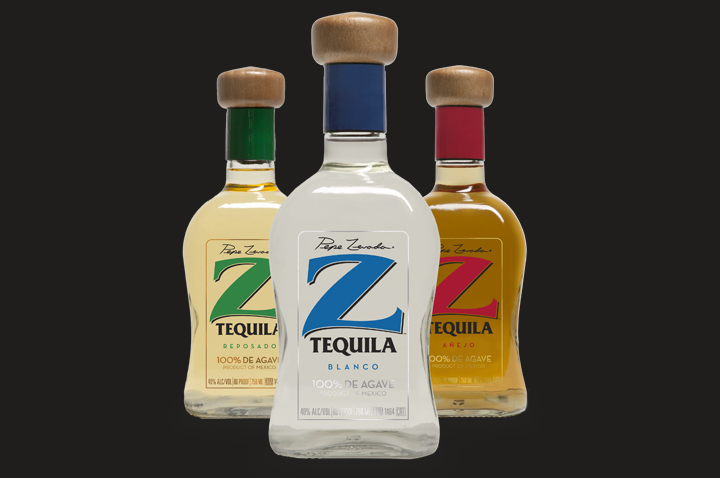 Right now, Z Tequila can mostly be found in California and Texas and select places online. At $34 bottle, Z Reposado Tequila is well worth seeking out as it represents one of the best reposados out there, and some of the very best value in the tequila category.